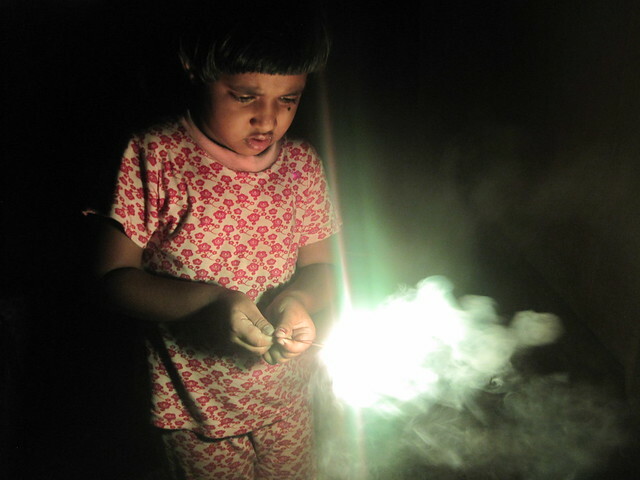 We had good fun celebrating Diwali. Here are a few pictures of me. 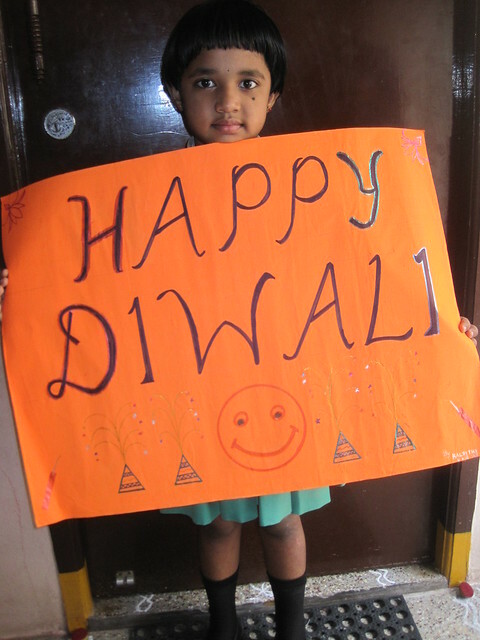 Our teacher asked each one of us in our class to make a poster for Diwali. This was for decorating our class room. My mom helped me make this one. Like it? That’s my Diwali dress. My parents bought me two sets of dresses. 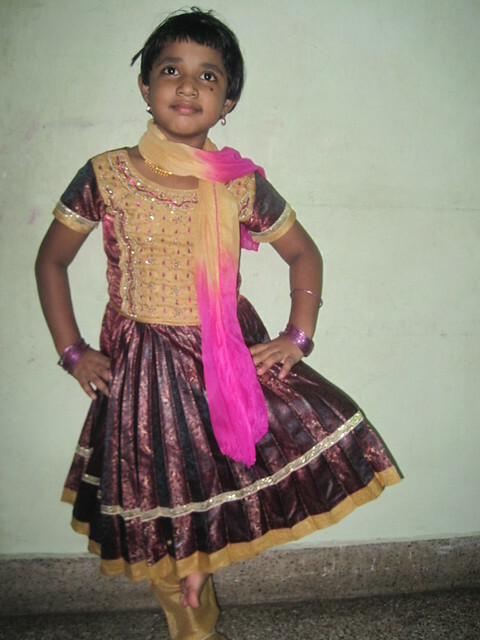 The one I wore in the morning was a Pattu Pavadai (silk dress) , a photo of which my Dad never clicked! Me trying to concentrate hard not to get burnt! 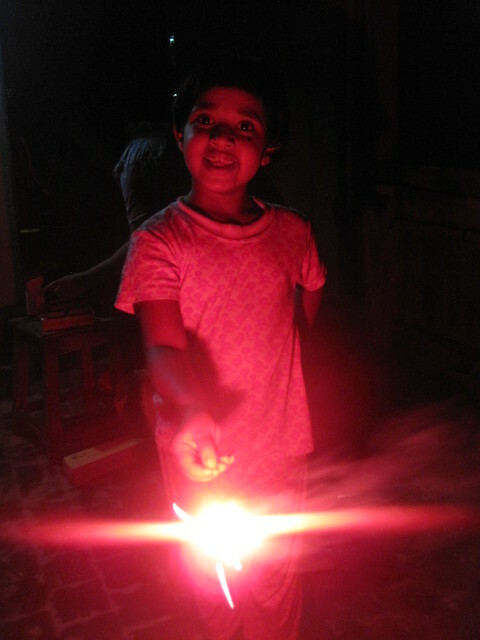 That’s me with the red coloured kambi mathappu!